that'll help you to not overlook any important details. re you hosting a bridal shower? 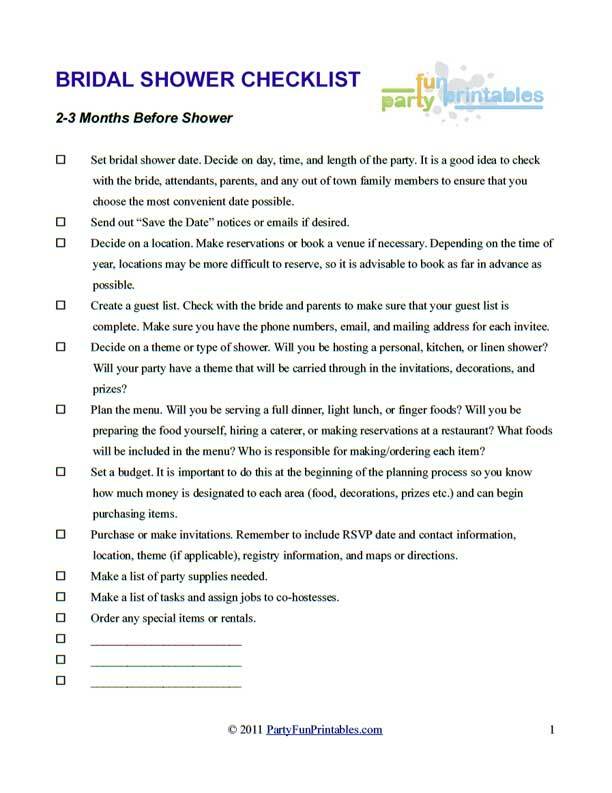 Make your job easier with a bridal shower checklist that will help you stay organized and ensure that you do not overlook any important details. Planning a party can be overwhelming - you want to make the day special for the bride-to-be, but where do you start? Using a checklist is a great way to stay on track, keep record of completed jobs, and make sure that everything runs smoothly on the day of the event. Set bridal shower date. Decide on day, time, and length of the party. It is a good idea to check with the bride, attendants, parents, and any out of town family members to ensure that you choose the most convenient date possible. Send out "Save the Date" notices or emails if desired. Decide on a location. Make reservations or book a venue if necessary. Depending on the time of year, locations may be more difficult to reserve, so it is advisable to book as far in advance as possible. Create a guest list. Check with the bride and parents to make sure that your guest list is complete. Make sure you have the phone numbers, email, and mailing address for each invitee. Decide on a theme or type of shower. Will you be hosting a personal, kitchen, or linen shower? 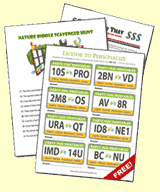 Will your party have a theme that will be carried through in the invitations, decorations, and prizes? Plan the menu. Will you be serving a full dinner, light lunch, or finger foods? Will you be preparing the food yourself, hiring a caterer, or making reservations at a restaurant? What foods will be included in the menu? Who is responsible for making/ordering each item? Set a budget. It is important to do this at the beginning of the planning process so you know how much money is designated to each area (food, decorations, prizes etc.) and can begin purchasing items. Purchase or make invitations. Remember to include RSVP date and contact information, location, theme (if applicable), registry information, and maps or directions. Make a list of party supplies needed. Make a list of tasks and assign jobs to co-hostesses. Order any special items or rentals.